Many employees who wear prescription glasses in a workplace that is surrounded by numerous hazards and risks believe that the glasses they wear on a daily basis are sufficient in the workplace. Unfortunately, those workers are incorrect. OSHA(Occupational Safety and Health Administration) has a requirement that states all employees who have to wear prescription lenses or contacts should wear PPE(personal protective equipment) that will integrate their prescription lenses. Workers may also use personal protective equipment that can be worn over their prescription lenses. This requirement was put in place because of the thousands of eye injuries that occur on a daily basis. If these safety standards were not mandated by the government, can you imagine how high that number would be increased? Many of the job-related accidents and injuries could have been easily prevented if workers were wearing their safety glasses. Nearly around 60 percent of work-related eye injuries occurred because workers did not have on their safety glasses, and others were not wearing the proper safety glasses. 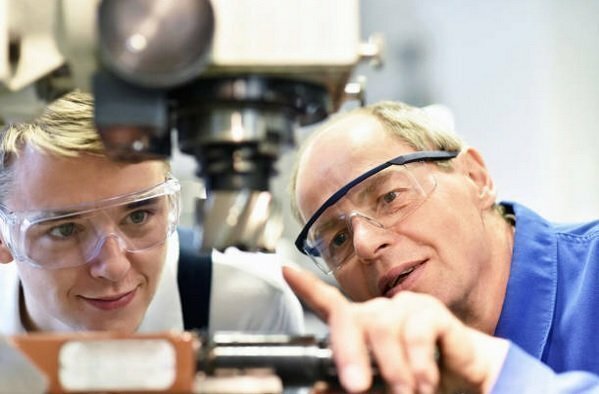 Are Your Safety Glasses Approved By OSHA? Prescription safety glasses are an essential piece of PPE(personal protective equipment) for many work sites and work areas. When you are searching for safety glasses for your workplace, it is important to ensure your prescription glasses are OSHA approved. We strongly encourage you to look for safety glasses that have the ANSI Z87 safety rating because this will make them OSHA compliant. ANSI is responsible for creating the standard of safety eyewear, and every piece of eyewear now has to match those standards and live up to them. OSHA is responsible for enforcing the use of safety eyewear, and these standards that have been set will ensure that you will always have the right safety equipment when you are working. Your choice of eyewear should meet the standards or exceed the standards in order to fulfill the requirements that have been set by ANSI Z87. In order to be OSHA compliant, your eyewear should have the ANSI Z87 mark. If you have workers who wear prescription glasses and you need to find the appropriate type safety glasses, you should certainly consider getting prescription safety glasses that are OSHA compliant as opposed for opting for goggles to place over their prescription glasses. If your workers are wearing their safety glasses over their prescription eyewear, the chances of fogging and poor vision will increase. Safety glasses may look like your standard glasses, but they have been manufactured in such a special way that they will not break, shatter, crack, etc., regardless of the type of impact. This is critically important because shattered glasses can result in more harm than dirt or debris entering the eyes. This is why it is important to look for safety glasses that have been marked with the ANSI Z87 sticker. Remember that ANSI approves the standards for safety glasses, in addition to creating the standards. OSHA has the responsibility of enforcing the use of the safety glasses. During your search for safety glasses that are OSHA approved, you will actually be looking for safety glasses that are rated ANSI Z87. Safety glasses that are rated ANSI Z87 will generally meet the standards and regulations that have been set by OSHA. 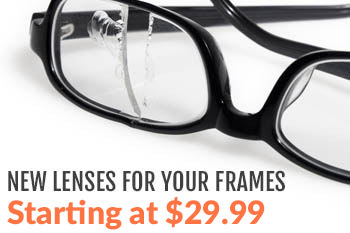 Prescription safety glasses are available in a variety of styles and frames, including wraparound styles. Prescription safety glasses that are OSHA-compliant can be in the wraparound style, flat style, etc. Your choice of prescription safety glasses should match the strength of your prescription and how you plan to use the glasses. If any of your workers have been given a strong prescription( meaning if they take off their glasses and they can hardly see), you may want to consider ordering some safety glasses in the wraparound style. If you have any employees who have not been given a strong prescription but they still want great coverage on the side of their glasses, you can also consider ordering wraparound frames for them. Polycarbonate is the preferred lens material for safety glasses. Prescription safety glasses that have plastic lenses or glass lenses can be ANSI Z87 approved, but they will not do an effective job of resisting impact as the prescriptions safety glasses with polycarbonate lenses can do. If your employees are working around chemicals all day, they should all wear goggles. If your employees are working with radiation, everyone should be equipped with specialized eyewear. For the workplaces where workers are commonly in contact with flying objects, chemicals, dirt, dust, etc., OSHA will require the use of safety glasses that have been approved with protection on the side. The side protection on these glasses can be called wraparound glasses or side shields. Will They Prefer Over-Wear Glasses or Prescription Safety Glasses? OSHA makes it clear that safety glasses can be worn over the prescription glasses or contact lenses. However, making the decision to wear prescription glasses under safety glasses will not provide you with the best feeling. Your employees will be uncomfortable, and who really wants to wear two pairs of glasses at the same time? Prescription safety glasses will be a much better option for your employees who do not wear contacts and would rather not wear two pairs of glasses at once. Your workers should not have to sacrifice their vision and their comfort, especially when you can offer them a better option. When fitting your employees for safety eyewear, it is important that every pair will fit each employee. There should be no one-size-fits-all strategy because everyone’s comfort level and facial structures are different. If the safety glasses are fitting improperly, it will not take much for the entire safety glasses to be jeopardized by an object. Encourage your employees to speak up if they are not satisfied with their safety glasses due to an improper fit. Workplace safety is something that should not be taken lightly. Safety in the workplace is too important to place to the side and ignore it. Far too often, workplace safety is not talked about until an accident or death occurs at the job site. Can you imagine how much money workplaces can lose when they are cited with a safety infraction? You can do your part in taking care of your employees and ensuring their eyes are protected at all times by providing them with the safety glasses they need. Eye injuries and vision loss can end the career of one of your employees, and we know this is something you do not want to occur at your workplace. You can make sure this never happens to any of your employees by ensuring everyone is equipped with the proper pair of safety glasses. For your employees who need to wear prescription safety glasses, they do not have to settle for wearing two pairs of glasses. They have the option of wearing a pair of prescription safety glasses that have been approved by OSHA. The proper person eye-protection equipment should always be worn when they are required. Your employees no longer have to wear them improperly or place them to the side because they do not like how they feel. There are numerous options on the table that will surely match the needs of all your employees. OSHA-approved safety glasses are an essential addition to your workplace’s safety equipment. Are you ready to equip your workplace with the right safety glasses, including prescription safety glasses for your employees who wear prescription glasses or contact lenses? We think you will be surprised at the number of options that you will have. There are also options that will allow the lens colors and frames style to be customized. Your employees may find a use for their safety glasses outside of the office, especially if they are able to customize them to be used for more multiple purposes. We know that ordering safety glasses in a store can be a tough task. We also know that ordering them online can probably be even more confusing. Fortunately, there are many online resources that will make the process easier for you. One of the most important things that will help you find the right types of safety glasses for your workplace is remembering to ensure they will be OSHA approved. Do not forget to look for the ANSI Z87 safety rating. We are ready to help you find the safety glasses your workplace will need to ensure that you will never have to worry about job-related eye injuries, especially the injuries that can end a career. 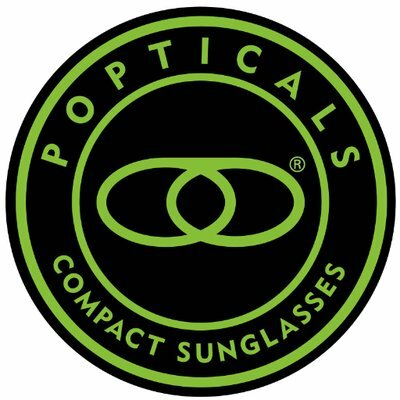 Our prescription eyewear is ANSI Z87 rated, which makes them OSHA-approved safety eyewear. For more information on the importance of prescription safety eyewear and how you can implement an effective safety glasses program in your workplace, please do not hesitate to reach out to us today. We are ready to help you.